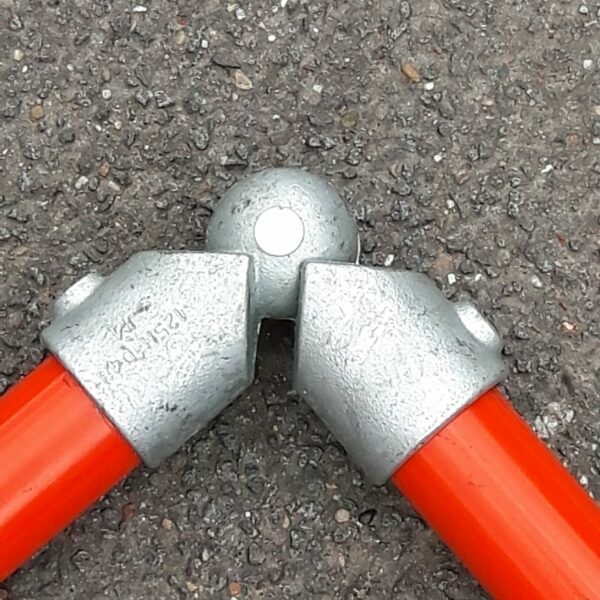 Please make your selection below from the following options. 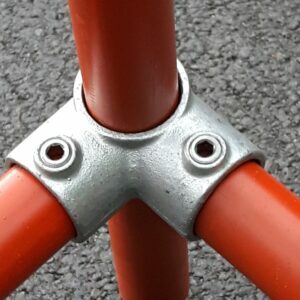 Tube Clamps are a simple and cost effective way of creating an endless variety of tubular structures without the need for welding. 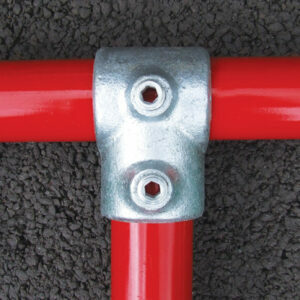 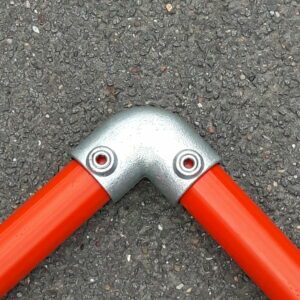 WE ALSO SUPPLY TUBE: Please click here to see our full range of tube to suit the fittings. 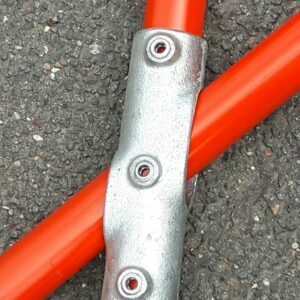 Our extensive range of handrail fittings when combined with standard EN10255 tubing enables the user to create any structure imaginable for use in all manner of industries. 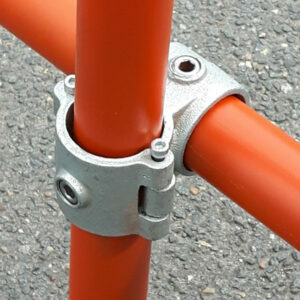 All Tube Clamp fitting are supplied with stainless steel grub screws. 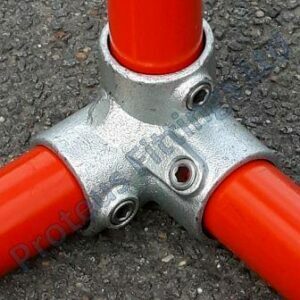 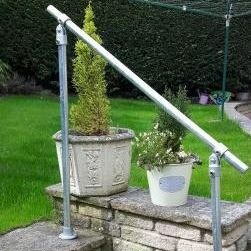 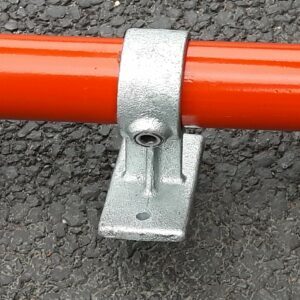 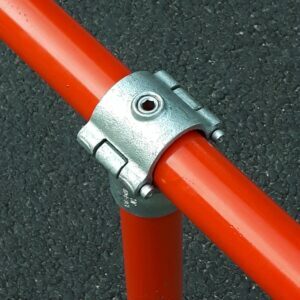 In order to protect any exposed threads in outdoor installations, we recommend the use of an anti-corrosion galvanising spray such as the one sold as part of our Tube Clamp range. 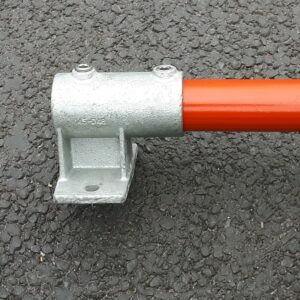 The grub screws can be tightened with an Allen key, however, if fully tightened using a ratchet key to a torque of 4.1kg/m (29ft/lb) the grub screw is capable of withstanding an applied slip load of 900kg. 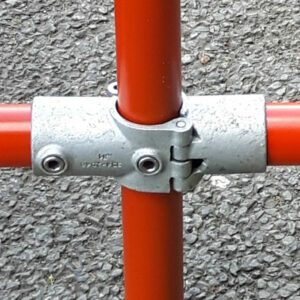 WARNING: AN ENTIRE STRUCTURE SHOULD NOT BE CONSTRUCTED FROM SWIVEL FITTINGS ALONE, AS THESE WOULD NOT PROVIDE SUFFICIENT STABILITY OR RIGIDITY IN THE STRUCTURE DUE TO THE FREE ROTATION OF THE FITTING.